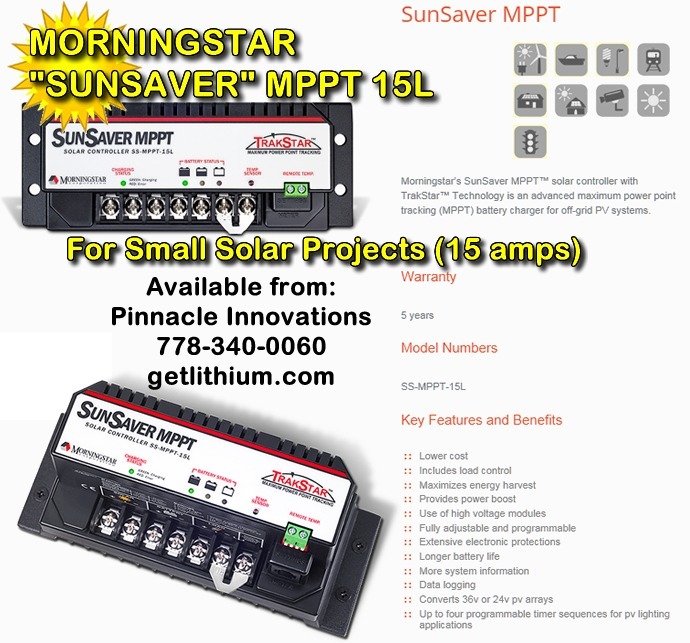 Morningstar SunSaver SS-MPPT-15L low cost 12/ 24 Volt MPPT solar charge controller with 300 Watts and 15 amps solar PV panel system capability for RV, RV Trailers, Cabins, Homes, Recreational Property, Industrial Installations, Van Conversions, VW Westfalia and Marine. Sorry, we have discontinued offering Morningstar Solar Controllers for the Lithionics lithium-ion battery systems. 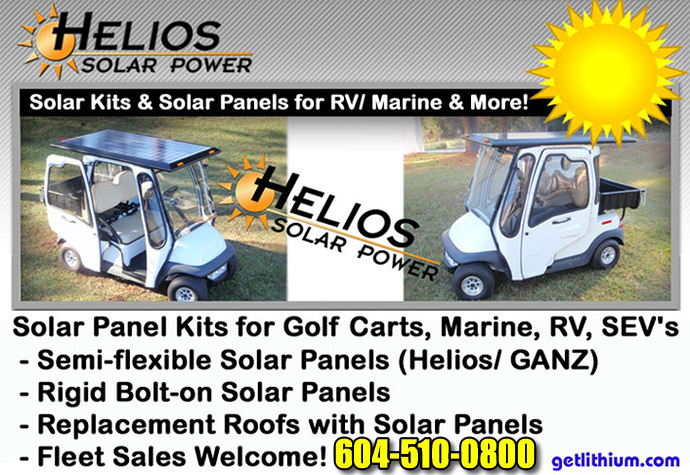 We recommend Blue Sky Energy, Victron Energy, Midnite Solar or Genasun MPPT Solar Charge Controllers. All current 12 Volt Lithionics Battery Lithium ion Batteries need to be charged between 14.4 Volts and 14.6 Volts. The Batteries also need to "Float Charge" at 13.4 Volts. above or those that have a "Gel Battery Setting" (the Gel Battery Setting is normally 14.0 Volts output). Lithionics has tested and approved many solar charge controllers by Blue Sky, OutBack Power and Morninstar for use with Lithionics Batteries. Please make sure that the settings meet the above voltages and use the Gel Battery setting or a Lithium Battery setting on the solar controller. 98% Efficient with Solar Power Charging! than other forms of batteries. ON ANY LITHIONICS ENGINE STARTING BATTERIES.